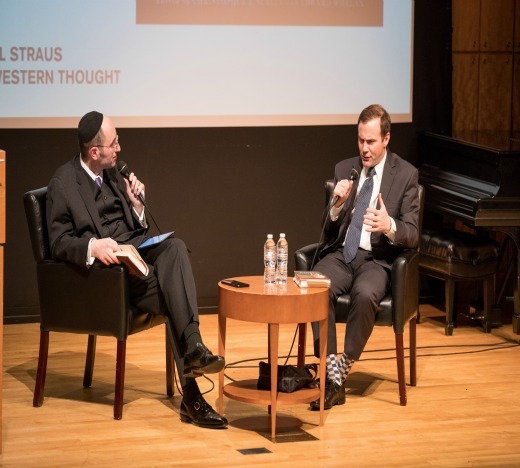 In a lively conversation with Rabbi Dr. Meir Soloveichik, director of The Zahava and Moshael Straus Center for Torah and Western Thought, in a packed auditorium at the Yeshiva University Museum on December 11, Christopher Scalia—the eighth of Justice Scalia’s nine children—discussed his father’s life and legacy as seen through his new book, Scalia Speaks: Reflections on Law, Faith, and Life Well Lived. 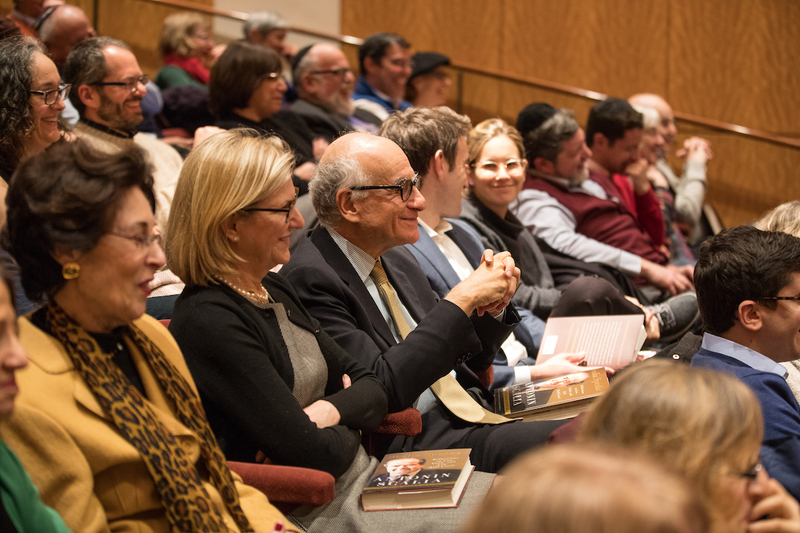 Co-edited with the Justice’s former law clerk Edward Whelan, the book is a collection of dozens of mostly unpublished speeches, some deeply personal, on subjects ranging from marriage and religion to sports and turkey hunting. Christopher Scalia, who lives with his wife and three children in Virginia, began compiling the speeches shortly after his father’s death in February 2016. The collection, he said, makes his father more accessible to non-lawyers, and gives a fuller picture of the man and his many interests. “It was therapeutic and powerful,” Chris Scalia said of the process. “My father was such a good speaker, and his voice comes through in these speeches—his humor, his intelligence, his passion. It was like having him in the room again.” Rabbi Soloveichik noted that in the audio version of the book, read by Chris Scalia, the son sounds much like his father. “Years of imitating my father paid off,” said the young Scalia with a laugh. 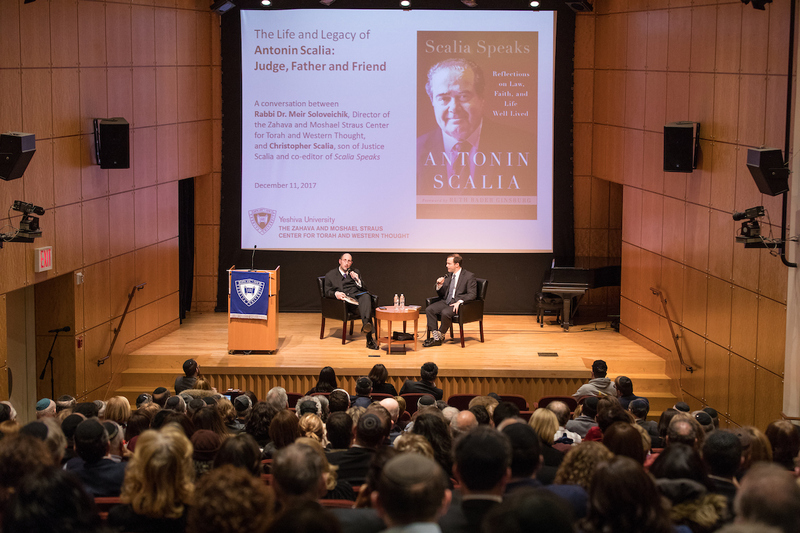 Scalia—a former college professor of English who works at a PR firm in Washington, D.C.— talked about the lessons his father instilled in him, mostly through modeling, but also through stories. Justice Scalia was rejected by his first choice of schools, Princeton, and instead attended Georgetown; he came to believe that this initial disappointment ultimately made him a better person. Later, he was not offered the job he wanted as Solicitor General, but that put him on the path to the Supreme Court. “He used his personal experiences to show us that disappointment in personal or professional life can lead to something better,” Scalia said.